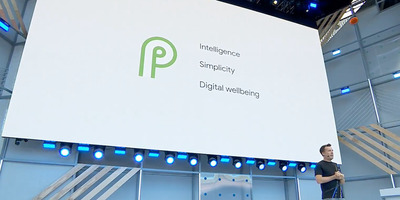 Google kicked off its biggest event of the year – Google I/O – on Tuesday, where the company showed off some of the new features and improvements we can expect in the forthcoming Android P operating system. Beyond the obligatory visual updates, Google P reflects Google’s considerable investment in artificial intelligence: We saw several new features where phones running Android P could learn how you use your phone, and use that information to do things automatically for you. Also intriguing is that Android P will bring some thoughtful new features to help keep track of how addicted you are to your phone – and maybe, just maybe, help you put it down a little bit more. Adaptive Battery will predict how you use your phone, to better manage your battery life. Android P will have an Adaptive Battery feature that will figure out over time and usage which apps you’ll use in the next few hours, which you’ll use later today…and which apps you won’t use at all. It will use that information to allocate battery power towards those apps and services you’ll use in the near future. 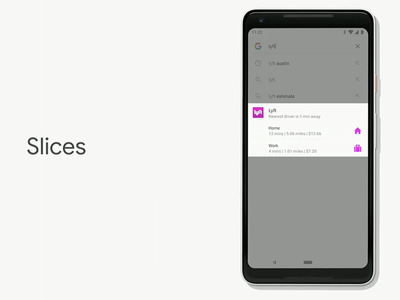 Google’s Dave Burke claims that test users saw a 30% reduction of apps that open needlessly when you’re not using them. 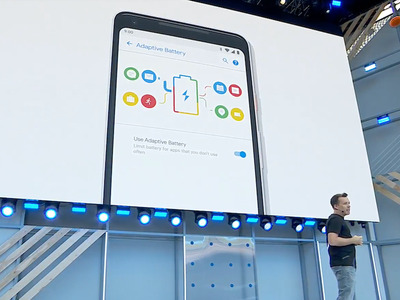 That’s not to say that you’ll get 30% better battery life, nor will it give your phone the multi-day battery life that users have long been hoping for. But it could improve overall battery life during a normal day of usage. 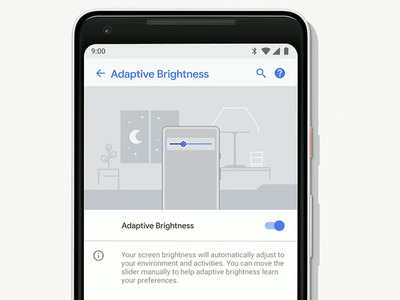 Adaptive Brightness will go one step further than simply adjusting your screen’s brightness based on your surroundings. Most smartphones already adjust the screen’s brightness automatically based on your surrounding environment. Adaptive Brightness will let you customise the brightness, without turning off the automatic settings. Then, it will learn from your habits. Burke said that with Adaptive Brightness, half of test users made fewer manual brightness adjustments compared to previous versions of Android. App Actions will learn what you do within apps most often at certain times of the day, and give you a shortcut to that action. If you always open Google Play Music at 2pm and queue up some Lady Gaga, App Actions might just start suggesting playing Lady Gaga when the time comes. Slices will suggest actions when you search an app in Google Search. If you search your phone for an app, the search results might give you a “slice” of a common action you do with that app. Burke showed Slices in action with the Lyft app. He searched for the app in Google Search, and the slices offered shortcuts to places he may have wanted to go with Lyft, like his home or work. Slices will also work contextually. If you search for “Hawaii” in the Google Search app, you’ll get a shortcut to your photos from a trip to Hawaii. Essentially, you won’t have to go into apps as often to do common actions with Slices. A new way to navigate around your Android phone – swiping gestures. 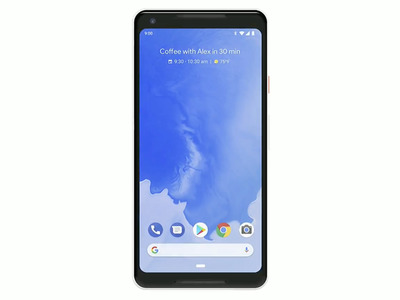 The traditional Android navigation buttons, like the app multitasking and universal back buttons, are gone. In Android P, a simple pill-shaped home button is all you’ll find at the bottom of Android P phones. Instead, you’ll swipe around your screen to go between apps, as you do on the Apple iPhone X. This new navigation will only be available on Android phones like Google’s Pixel 2 at launch. Swipe up to bring up your recently used apps. Swipe up twice to get all your apps in the App Drawer. Quick scrub – slide home button sideways to scroll through recent apps. A much better volume control. 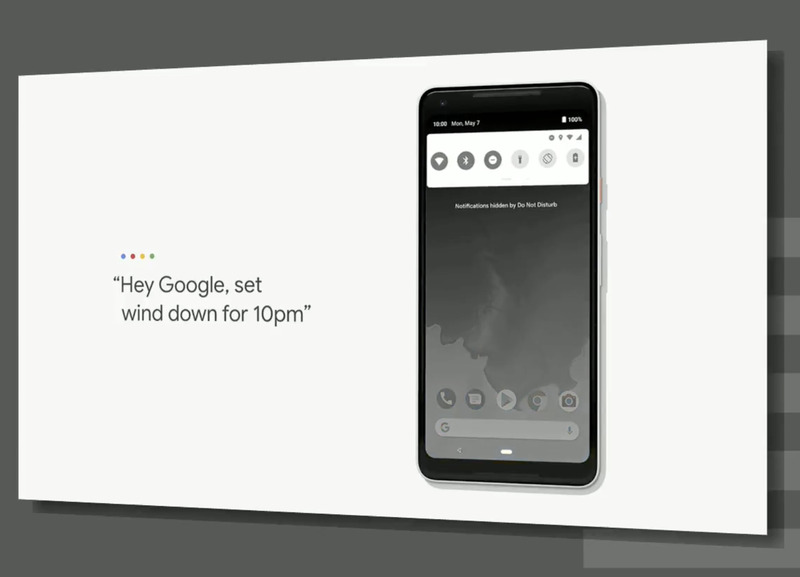 The volume slider will appear right next to the volume buttons in Android P. The slider is also vertical, which should make it easier to slide with your thumb or finger, compared to the horizontal bar we’ve previously seen in Android. 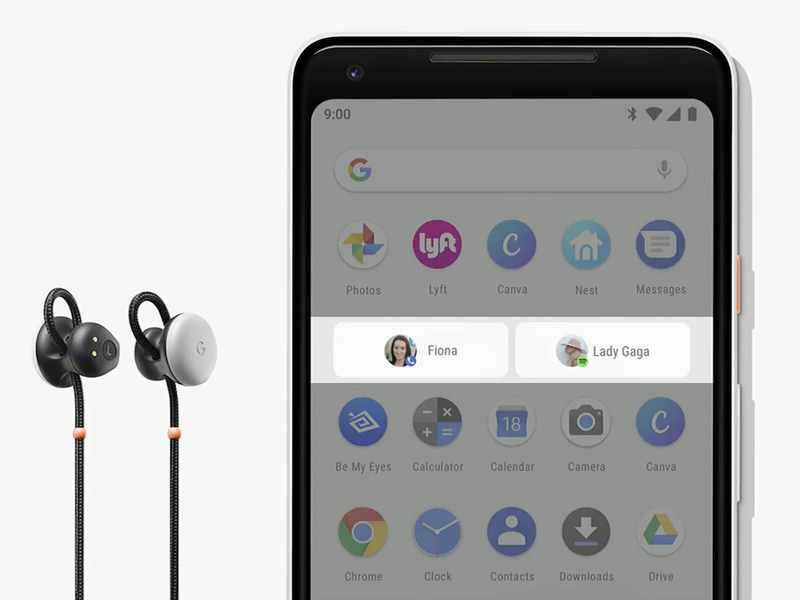 When you change volume, Android P will also adjusts media volume by default, even when not watching or listening to media. Rotating screens won’t be as frustrating. 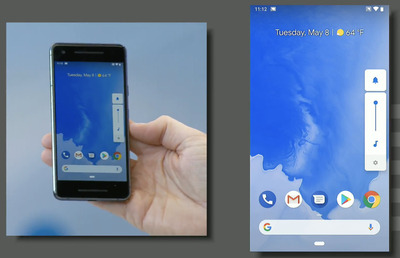 Android P will let you keep the screen rotation lock enabled on your phone. However, you’ll be able to pick which apps can override the rotation lock, on an app-by-app basis. So if you have a photo app that you always want to open in landscape mode, no matter what, you can set that. 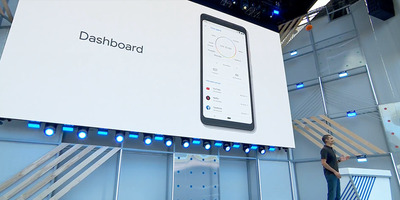 Android Dashboard will let you limit how much you use your apps. 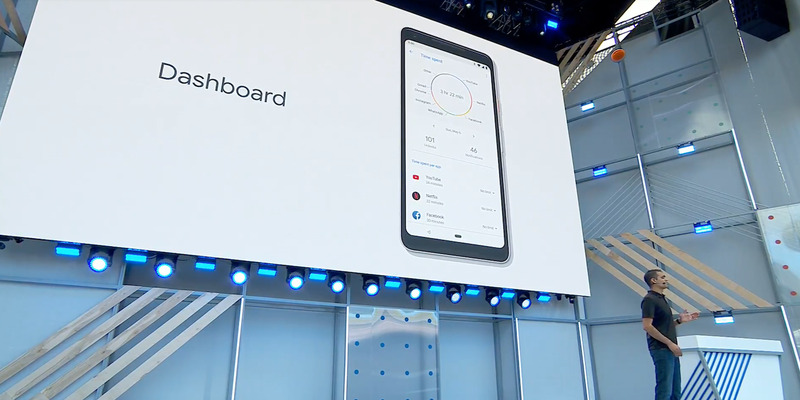 Android’s new Dashboard feature is designed around “digital wellbeing.” It will show you stats like how much time you spend in apps, how many times you’ve unlocked your devices, and how many notifications you’ve received. Dashboard’s purpose is to make you more mindful of just how much you use your devices. Android P will also let you manage how long you use certain apps. It will “nudge” you when you’re close to your time limit, and when your time is up, the app icon will be grayed out. You’ll still be able to use the app, but the app icon’s grey colour serves as a reminder that you’ve used up all the time you’ve allotted yourself for that app. When you flip your phone onto its front on a flat surface, your phone will go into an enhanced Do Not Disturb mode that will prevent the screen from lighting up and potentially distracting you. You’ll still be able to set up a list of contacts that can contact you even with Do Not Disturb mode turned on, in case of emergencies. Wind Down mode will automatically turn on Do Not Disturb mode and fade your screen’s colour to black and white at a time you set for bedtime. 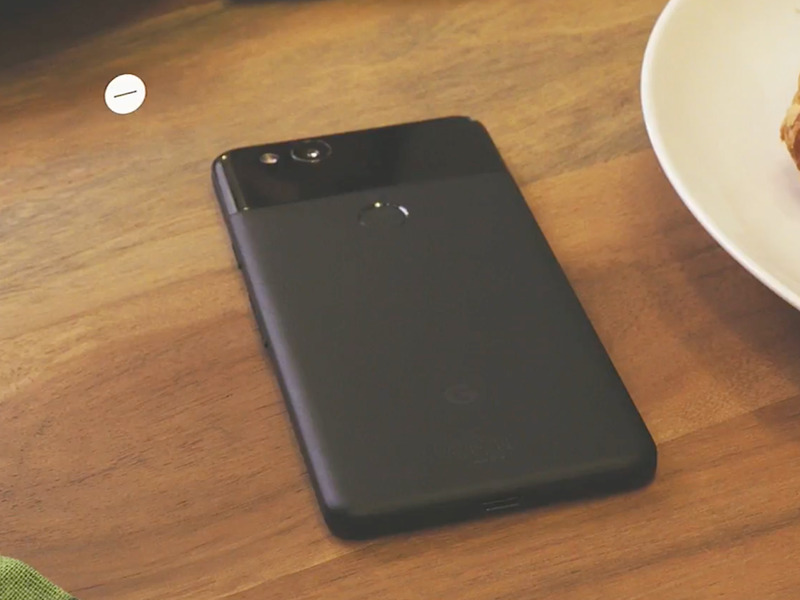 Google’s Sameer Samat says a black and white screen is “far less stimulating for the brain” and helps you put your phone down. Your screen will return to its full colour mode when you wake up.